Okada Manila recently ushered in the Christmas season with a grand tree lighting ceremony along The Fountain Foyer. Centered on its 28-foot tree made of 38,008 of the finest capiz shells from Cebu, guests were serenaded by Chorus Vocales Philippines, Hazel Faith, and Monique Lualhati. After which, guests and the media were ushered into the Cove Manila to witness the awesome exclusive performances of KZ Tandingan. It’s also a way to get guests to feel the start of the holiday vibe and can expect a lot more of activities such as choir performances from the heavenly voices of the award-winning Himig Rizalia! Hear your favorite Christmas songs rendered with heart-melting vocals and excellent choral direction on all weekends of December until the 23rd. 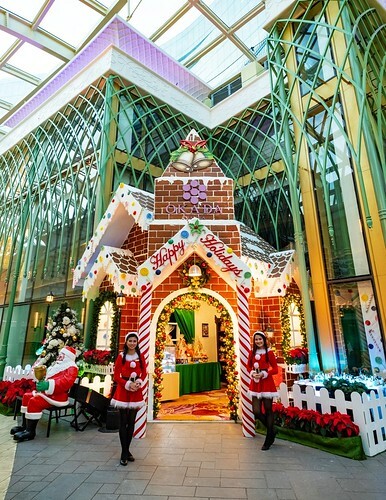 There’s also a special place for kids and kids-at-heart at Santa’s Cabin by the Crystal Corridor junction. There will be a meet and greet with jolly old Saint Nick himself starting November 17 until December 25, from 3 to 5 PM. If you want to veer away from the hustle and bustle of the mall, there’s a place at Okada Manila called The Garden. Aside from being the perfect outdoor venue for celebrations and events, The Garden is a sprawling spread of greenery within Okada Manila. Guests will completely enjoy this brand new facility once it officially opens to the public. 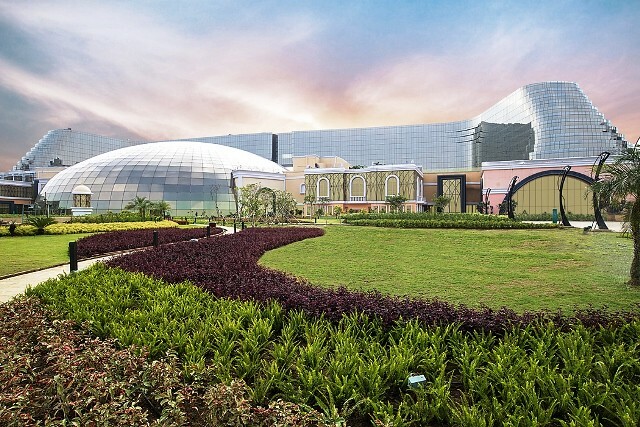 “The Garden is more than an outdoor space, it’s an integral part of Okada Manila where guests can enjoy life’s best moments under the sky with people they treasure the most,” said Ivaylo S. Ivanov, Okada Manila’s Vice President for Hospitality. “Our guests will never run out of fun and exciting experiences here at Okada Manila. Bring the whole family, barkada, and even your colleagues for unforgettable holiday celebrations!” added Ivanov.